Who doesn’t like eating potatoes, it can be found in the cuisine of every country, and is often termed as ‘king of vegetables’ owing to the fact that everybody loves it and the fact that it also goes well with almost everything. But apart from its edible and cuisine oriented property it is also a great material for beauty treatments. Here are few natural beauty treatments you can do at home with a simple thing like potato…..
– Its a natural bleach, mix mash potato and lemon juice in a ratio of 1:1 and apply this all over face. Keep this for 20 minutes and rinse off. This acts as a natural bleach and helps in achieving a lighter complexion. 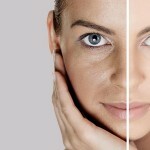 – It also helps in fighting dark circles, mix 1 tsp potato juice and 1 tsp honey. Apply this on the eye area, keep for 15 minutes and wash off. After few uses you will find a drastic change. It is also helpful in swollen eyes and eye irritation. For instant and fast relief cut a slice of potato and place it over your eyes, it will give a cooling and relaxing effect. – And not only the fruit but the peels are also of a great use. Boil the potato peel in water for 10-15 minutes. Cool and wash or apply this water on hair, it helps in premature graying and also provides a shine to them. – Mix potato and cucumber juice if you have open pores, this treatment works as a natural toner and will help fight wrinkles too. Potato has vitamin B6 and helps as a natural anti ageing. – It is also great for sunburns and for removing scars and blemishes. Apply potato juice to the burn area, this will provide an instant relief to the skin irritation. Also regular use of this will lighten the scars eventually. – Potato juice also helps in dead skin removal, so next time if you find your skin dull try using his tip.